Okuda to First Challenge for Women's Meijin! Many of go fans are wondering whether Iyama Yuta can take revenge on Cho U for the Kisei title match in 2011 and can get 6 crowns for the first time in Japanese go history. 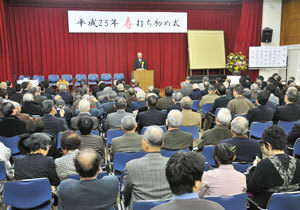 The first game of the 37th Kisei title match was played in Okinawa on 17 and 18 January 2013. 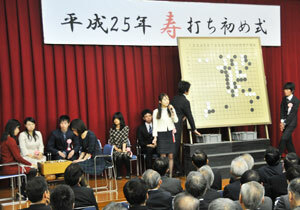 Iyama (W) defeated Cho U by 5.5 points after 265 moves. 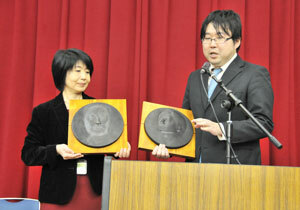 The second game of the Kisei title match will be held on 31 January and 1 February 2013. Hsieh Yi Min wins Women's Kisei title, defeating the defending title holder, Aoki Kikuyo by 2-0. The final game of the 16th Women's Kisei was played at a studio of ‘Igo-Shogi Channel'. Hsieh (B) won against Aoki by a half point and gets triple crowns (Women's Hoinbo, Women's Meijin and Women's Kisei) again since January 2012. Aoki could not defend the title which she took by defeating Hsieh last year. 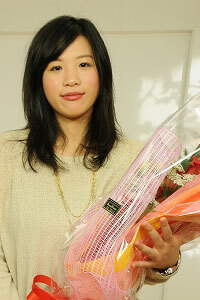 Okuda Aya 3-dan pro becomes the challenger to Hsieh Yi Min for Women's Meijin title. Okuda makes her first challenge for Meijin title match. The first game of the 25th Women's Meijin title match (three-match series) will be held in Osaka University of Commerce on 7th March 2013. The Nihon Ki-in starts to open as the first working day in a year on 5th January. Please see the following photos of the ceremony in 2013! Greeting by Wada Norio, chair of The Nihon Ki-in Youth Pro Rengo Game! Commendation ceremony for The Go Hall of Fame 2013. Yasui Santetsu and Chén Yì are nominated.